Full disclosure: Yes, it takes about 30 minutes to set up the first time, vs Medium's several minutes or less. But it's great, and you can use it, even if you're not a developer or hacker. I used to write on Medium. I once made money with a story. It was fun, but mostly what I liked was the clean interface. Well, guess what? 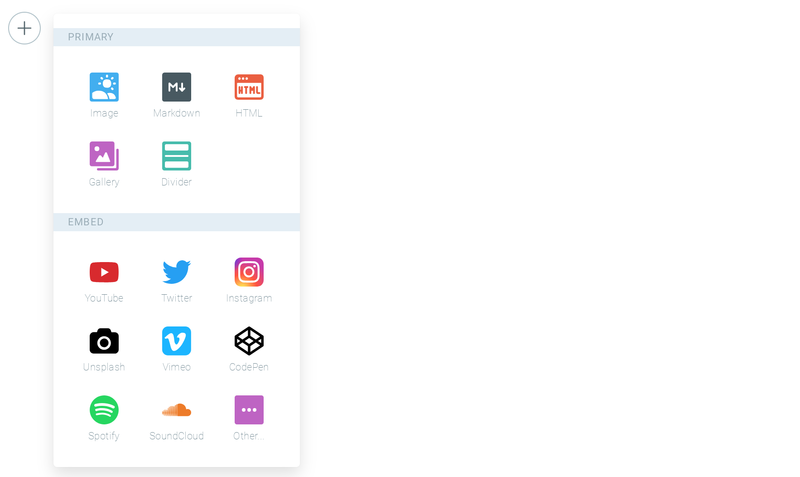 You can get a writing interface that's just as clean AND more full-featured on Ghost, and you'll own your own content. Here's why I suggest you make the investment and install Ghost, especially version 2.0, that changed everything (again). Why am I writing this? I googled "Ghost vs Medium" for a while and found most information outdated, only relevant to previous versions of Ghost. They all seemed to copy each other. My suggestion: Write your first 5-10 articles on Medium. Once you're committed, set up your own domain and Ghost blog. You can just copy and paste the articles over afterwards. It's that easy! 1. Ghost is a company with values of integrity and transparency that you can related to. We started working on Ghost because we wanted to build a great open source publishing platform which would empower independent creators, but we also started this company as a social experiment. We wanted to know: What would it look like if you built a technology startup which could not make anyone rich. If you eliminated all the promises of wealth from the roadmap up front, and tried to build a good company, how would that affect the product, business, customers, and every little decision in between? They're so transparent, in fact, they even publish their revenue - verified by Stripe. 2. Ghost lets you keep your own content (text and images) and allows you to do what you like with it. On Medium, you give your content to them. They make money on it however they want (whether they charge for it or don't) and also give you however much money YOU want. With Ghost, you have all your own data. You can even download it at a moment's notice. You upload pictures and it gets stored on a server that you OWN (or are renting). You can keep it free, and you can make money however you want (with affiliate links or whatever). 3. Ghost lets you monetize your blog content however you want - ads, affiliates, whatever. This is related to the above. But say you hit 100,000 pageviews a month and think "Dang! I should put some ads on here." Well, you can, using whatever partner you want. Adsense, MediaVine, you name it. And if you want to add affiliate links - well, you can. Many affiliate programs require you to only host links on your own website. Well, this is it! 4. You get to brand your own blog with Ghost. You can use your own logos. You can use your own domain. You can change the color scheme, the fonts, the entire template. Of course, straight out of the box Ghost looks amazing (with the default Casper theme), but the point is, you can do anything. 5. You get to put more media in with Ghost. In Medium, you do get to add a few types of media. In Ghost you can do anything! 6. Ghost gives you more control over things like SEO discoverability, and the ability to link to other websites & content. 7. The editor in Ghost is simply amazing. It's as beautiful as the one in Medium. Look at the video above. What more could you need?